I have developed this obsession recently with old trucks; like 70's - 80's pickup trucks. 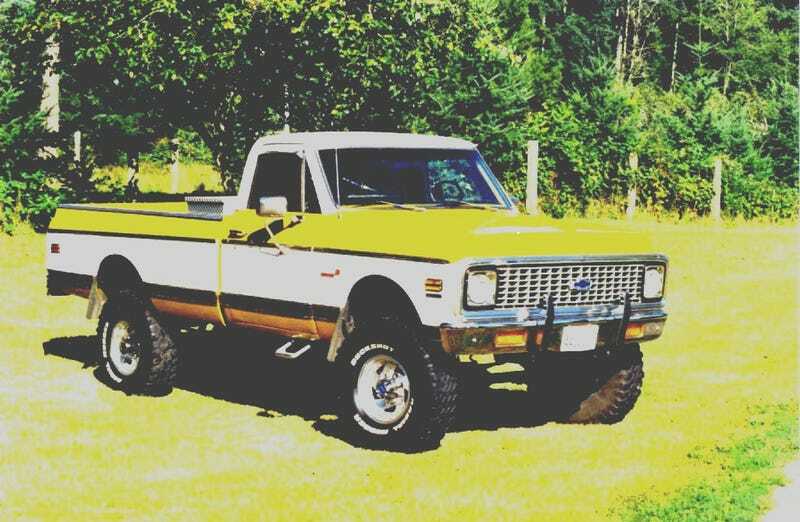 I really want to purchase an old Chevy or Ford pickup as a daily driver but the wife is totally against it being that we live in the city and there is no room for a third car (in the budget or the neighborhood). My earliest memory is of my dad's '83 GMC High Sierra in two tone brown with a brush guard, roll bar and 33's. The low rumble of the 350ci motor and the simplicity of the cab were something to behold.